Vice President Mike Pence is scheduled to travel to the Middle East Friday, one month after world leaders condemned the U.S.'s decision to recognize Jerusalem as the capital of Israel. CBS News' White House and senior foreign affairs correspondent Margaret Brennan said Pence wants to use this trip to emphasize how important his evangelical beliefs are not only to him, "but to the Trump base and to Trump supporters." "So when the vice president goes to the Holy Land, that is politically symbolic for them, but at the moment, they also need that one pat on the back from one Arab-Muslim leader," Brennan said on CBSN's "Red & Blue." "They'll get that in Egypt with visiting el-Sisi and manage some things with King Abdullah as well." 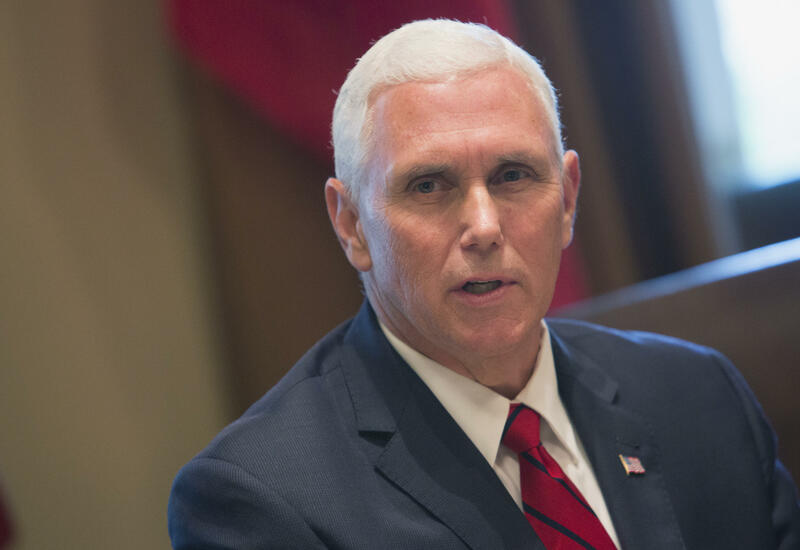 Vice President Mike Pence is scheduled to meet with Egyptian President Abdel Fattah el-Sisi, Jordan's King Abdullah II and Israeli Prime Minister Benjamin Netanyahu and President Reuven Rivlin. Pence's office says he is going overseas to "reaffirm our commitment to work with the United States' allies in the region -- to defeat radicalism that threatens future generations." How will Pence's religion influence his Middle East trip? Brennan said Pence's religious beliefs became a political platform and will play a part in the upcoming trip. Pence will go pray at the Western Wall as an official visit, as President Trump did. Other administrations have made it an official visit. McKay Coppins of The Atlantic weighed in separately on "Red & Blue" saying, "He's always put the kind of agenda of the religious right of the United States at the forefront of his political efforts." "I think the recent move to recognize Jerusalem as the capital of Israel is seen as a big coup for a lot of conservative Christians in America," Coppins said Thursday. "This has been a goal of theirs for a long time and the fact that President Trump is sending Mike Pence on this trip to the Middle East in the wake of that decision shows, I think, which constituency here in America they are aiming at when they did that." Coppins said that Pence often couches his political discussions about Israel in personal terms, even once going so far as quote the Bible as a religious justification. Meanwhile, the government is on the verge of a potential shutdown which could throw Pence's trip into jeopardy if he's already en route to the Middle East. A shutdown would happen on the one-year anniversary of Mr. Trump's presidency. "You can't ever really go to the Middle East without some political backlash, but this will be quite sharp to one of President Trump's decisions -- one that no other country in the world up until [Trump] declared it had been willing to do," Brennan said. Brennan said that Pence's initial December trip was supposed to be a victory lap after Mr. Trump's Jerusalsem announcement. Pence had to cancel the trip due to the tax cut vote. "The White House didn't necessarily expect the kind of blowback they got, including from Christian leaders in the Middle East," Brennan said. "This was not only an unpopular decision with Palestinian leadership and Muslim leaders ... this also didn't go over well with Arab leaders which happened to be Christian." Brennan explained that some Christian leaders in Egypt wouldn't meet with Pence and it all added to a "sense of awkwardness" to that scheduled trip. And without a doubt, Mr. Trump's Jerusalem decision will be at the forefront of the discussions. "The vice president when he goes to Egypt, it will be the first time you will have seen an Arab leader -- a Muslim leader -- embrace and be willing to meet with the American leadership," Brennan said. "So Vice President Pence will surely try to make that a point ... it will come up in their conversations." Trump's Jerusalem decision sparks "Day of Rage"
Brennan said that Egypt has long had a peace treaty with Israel and a lot of intelligence sharing and while Egypt is opposed in principle to making a decision that didn't include Palestinians whatsoever, they haven't made it a real sticking point with the Americans. "They have their own interests in mind and they haven't been prioritizing out of the Palestinians in a way that would prevent President el-Sisi from meeting with Vice President Pence," she said. "But where it will be a very awkward conversation is when [Pence] meets with the King of Jordan, King Abdullah." "This again is putting him in a real tight spot -- remember Jordan has been inundated with Palestinian refugees for decades now -- about 60 percent of their population or more is Palestinian in origin," Brennan pointed out. "So he not only has to speak to his own constituency at home in voicing their concern ... but also say as the guardian of the mosques [the king of Jordan helps to ensure some of the peace there -- in terms of Muslim claims of holy sites in that holy city] ... he'll bring that up as well." He's scheduled to be "wheels up" around 7 p.m. ET Friday. In December, Pence's office said that trip would be postponed -- in case he needed to cast a tie-breaking vote on the Republican tax overhaul plan at the time. But that announcement also came just days after the White House said it recognizes Jerusalem as the capital of Israel. "Jerusalem is today and must remain a place where Jews pray at the Western Wall; where Christians walk the stations of the cross; and where Muslims worship at al-Aqsa mosque," President Trump said Dec. 6. "However, through all of these years, presidents representing the United States have declined to officially recognize Jerusalem as Israel's capital. In fact, we have declined to acknowledge any Israeli capital at all. But today we finally acknowledge the obvious: that Jerusalem is Israel's capital." What followed was a "Day of Rage." Demonstrations had stretched from Chicago to Gaza -- and from Jordan to Pakistan.